MAA Announces the 2015 Video Challenge Winners! 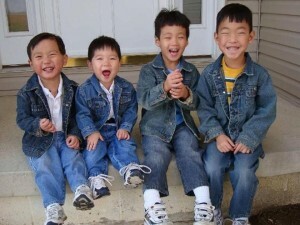 Madison Adoption Associates helped us bring Anthony home from China to join his 3 brothers who were adopted from Korea. Anthony was born with a heart defect and has recovered from open heart surgery. Thanks to MAA, these darling boys have now welcomed home another brother from China who is recovering from heart surgery. 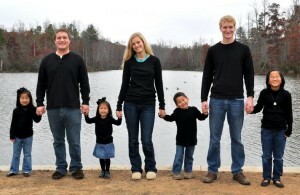 We are so thankful to China and MAA for allowing us to adopt our 4 precious children (all with special needs). They are all happy, healthy, bright and beautiful and have adjusted perfectly into our family. We love them with our whole hearts and cannot imagine life without them. Eddie’s family chose to bring him home as their son because they are experienced parents of children who are deaf. Eddie was 13 years old and was getting ready to age out. 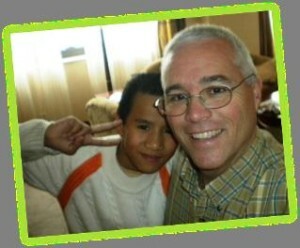 His father traveled to China to bring him home just a few days before Eddie’s 14th birthday. With only a few hours left to complete the adoption, Eddie was registered with his new family and came home!! MAA’s staff worked night and day to make sure Eddie did not age out before his family was able to travel to adopt him. MAA was in constant communication with the family, the US Immigration Services and the US Consulate in Guangzhou to make sure all of the necessary paperwork was on an expedited schedule. All of us at MAA cried tears of joy when we heard the news that Eddie’s adoption was completed on time.We are very grateful to CCCWA that they worked with us to make sure this Eddie’s adoption happened! 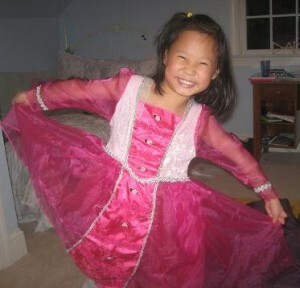 We came home with our daughter Lily, age 8 years, in January 2011. She is absolutely amazing and we all love her to pieces. She is adored by her 5 other siblings and we are so happy she is with us. The video, the interviews, the countless pictures and the personal remarks from those from Madison who met her were so helpful in allowing us to see that she would fit perfectly into our family. And she does!